On Tuesday, June 6th at 7 pm, Storefront for Art and Architecture opens 'Temple of Manufacturing' by COMPANY, a duo comprised of FCINY alumna Aamu Song & Johan Olin. The installation will be presented at Storefront's gallery space at 97 Kenmare Street from June 7th to August 5th. 'Temple of Manufacturing' presents COMPANY’s long-term project: SECRETS. Traveling to remote sites around the world to learn crafting processes unique to particular industries and places, Song & Olin have collaborated over the last decade with a variety of communities to rethink the very processes and knowledge embedded in these places. Applying this knowledge to new and unexpected designs, COMPANY’s work creates an intersection between the mastery of traditional technique and the invention of a new, poetic, and personal material and object-specific vocabulary. 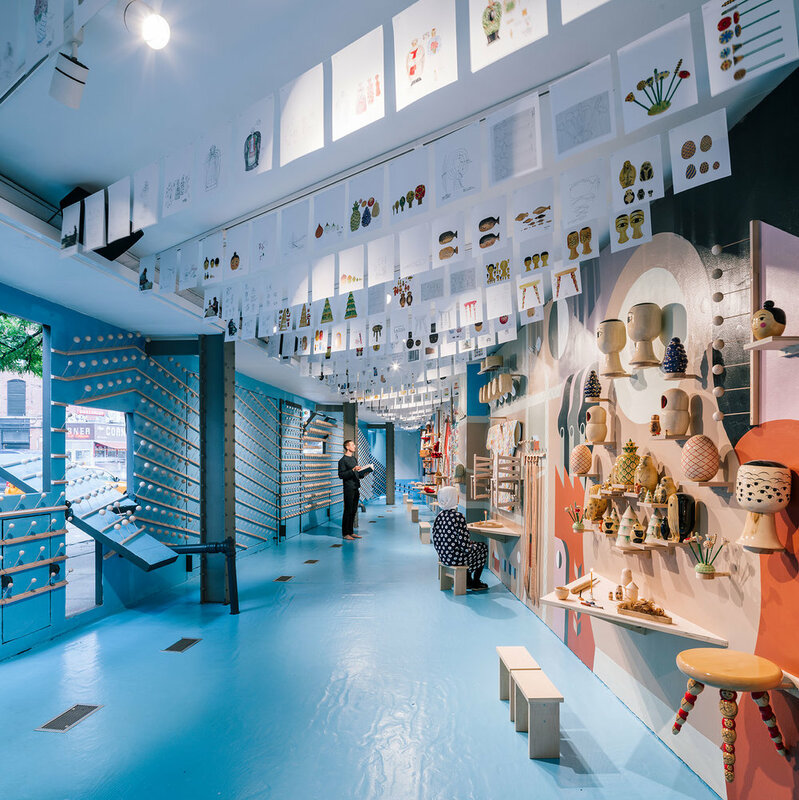 'Temple of Manufacturing' transforms the Storefront gallery into a sacred space with a series of in situ frescoes and materials, drawings, and objects, as well as new composite objects created in collaboration with local makers Song & Olin encountered in their travels. Special exhibition support for 'Temple of Manufacturing' is generously provided by the Arts Promotion Centre Finland (Taike), the Finnish Cultural Foundation, the Finnish Cultural Institute in New York, and Frame.